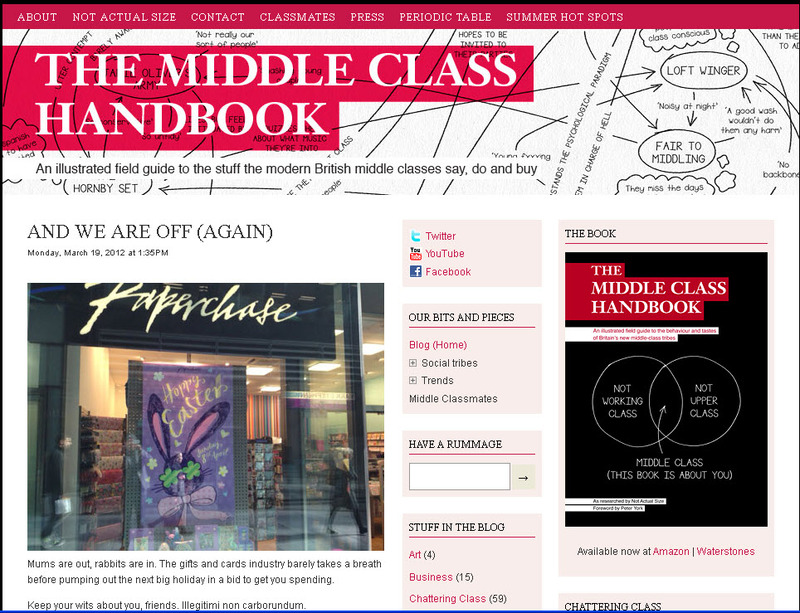 If you are looking for a window into the heart and soul of the British chattering classes, look no further than The Middle Class Handbook, a very British blog that documents the stuff that the British middle classes say, do and buy. Not since Stuff White People Like have I found an affinity with a site that seems to read us and our British middle class family and friends like an open book. Are we really such a cliche?! So very predictable and stereotype-able? Apparently so. Posted on 20, March 2012, in Culture and tagged British, chattering classes, Middle Class Handbook, Stuff White People Like. Bookmark the permalink. Leave a comment.